RI’s regular forum for industry marketers returns on Wednesday 12th September. Why should you join us? This is your opportunity to network with your fellow specialist recruitment marketers about the industry, about what is happening in our sector and most importantly, the content is totally focused on your marketing role. GOOGLE FOR JOBS - What does this really mean for recruiters? With Giles Guest. - what does Google for jobs mean to the established jobboards? - We have survived GDPR, haven’t we? - New innovations in technology; how can they help the marketing function? As per usual, our agenda will be fluid and the afternoon will run from 3pm - 6pm. The event is open to anyone who works in a marketing role in or around the recruitment industry. Typically, we will chat and network for 30 minutes, talk about the 2-3 main topics, hold an open floor and then close with drinks and more networking. Please help us to continue to build our audience by encouraging your own peer network along, share the event link and support the group. If you would like to attend please email david@recruitment-international.co.uk for more details or to register. Join us at Marketing for Recruiters. 3.00 pm – 6.00pm Wednesday 12th September 2018. Please email david@recruitment-international.co.uk with any topics you would like to hear discussed, or if you have a specific question you would like raised. In 1996 Giles founded 4mat.com, one of Europe’s first digital service companies specifically aimed at the recruitment industry. 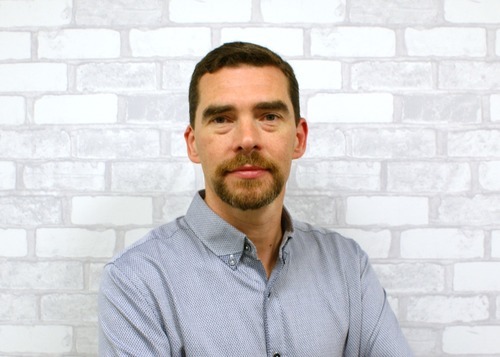 In the 10 years that followed, Giles and his team successfully delivered over 1000 online recruitment solutions, making 4mat the market leader for digital recruitment marketing. He sold the business in 2006 to the Silicon Valley Group. In 2008 Giles acquired Enhance Media, a successful online recruitment strategy and marketing company. Since then Giles has successfully grown the business by 30% every year, ensuring Enhance has become a UK leader for data-led recruitment marketing including analytics, research, SEO, PPC and web build. In 2014 Giles added a creative department to the data-led business and the company successfully marries innovation and data and has added award winning social media and careers web sites to its portfolio. 2017 saw the launch of Europe’s first interactive recruitment video solution – a success that has grown 500% in one year and created a whole department in Enhance and second stand-alone business. Giles is a passionate believer in using data and innovation to create successful online recruitment strategies. Recent work has helped benefit many FTSE clients including Nestle, Boots, Bloomberg, The John Lewis Partnership and three Virgin companies.